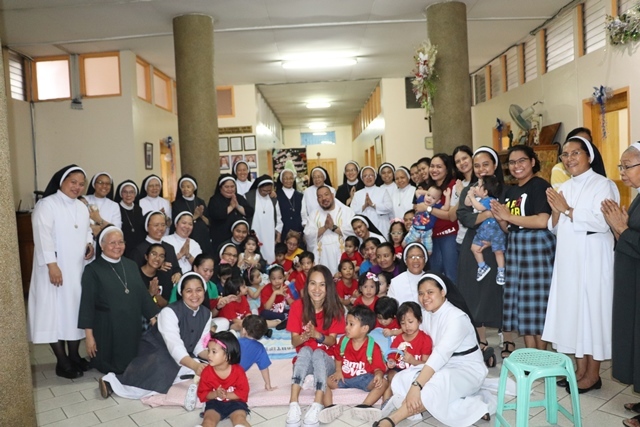 MANILA—The beloved orphans had their annual visitation to the AR motherhouse on December 28, 2018 as the Church commemorates the feast of the Holy Innocents. The orphans were being accompanied by the sisters and caregivers coming from Saint Rita Orphanage community. They arrived at around 9:00 in the morning and they were being welcomed joyfully by the sisters of the AR motherhouse community headed by Mo. Lucena Antipala, AR. Delicious food was being prepared for them and for all. Everybody enjoyed playing, hugging and kissing the children. Contrary to what had happened many years ago where baby boys were killed as commanded by Herod, these orphans were being cared for and loved by all the people who surrounded them. They were treated as the precious ones of God. The orphans performed a dance before the sisters and the other visitors. The audiences were very happy watching them. After their performance, the caregivers also showcased their talent in dancing. These innocent children do not know how they make people happy despite of their background. The orphans was also blessed with the person of Fr. Edgar Tubio, OAR who gave beautiful message to those who were present before he blessed the children. He said, “God loves His children especially the orphans and He wants that His love will be felt by the little children through the people who took care of them.” He also thanked the sisters and the caregivers for taking care of the orphans. After the blessing the orphans had their dance once again before the presence of all those who were present including guests from other Congregation. May God continue to bless these innocent children whom He dearly love and cared. 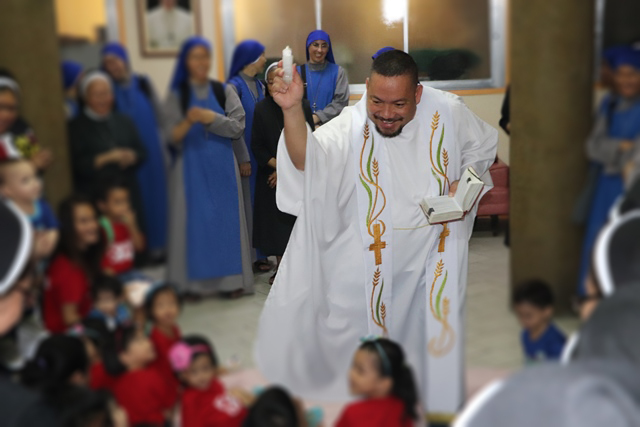 Fray Edgar Tuibio, OAR, Parish Priest of San Sebastian Basilica, blessed the children. We are all encouraging you to support us. Visit us @ saintritaorphanage.ph for more information. Donate today and join our mission. Start of the Procession: 4:00 P.M. Most Rev. Antonio Tobias, D.D. Fray Romeo Ben Potencio, Jr.